All of our spices are products of Mountain Rose Herbs of Oregon. A fully certified organic supplier with an environmental and social conscience. We have carefully chosen this excellent supplier as they are certified organic by OTCO and the USDA, certified Kosher through Earth Kosher and produce exceptional botanical products free from irradiation and ozone treatments, sulfites, gasses and other sanitary chemicals. Mountain Rose Herbs is dedicated to sustainable farming and a better life for Farmers around the globe, leading the way with fair trade programs surpassing any guidelines. When purchasing spices please keep in mind that powders and seeds provide less product by weight than dried leaves. 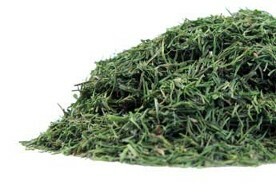 As an example 45g of Bay Leaf or Parsley Leaf will provide a great deal of botanical material! 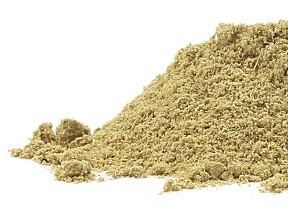 Packaged in 45 grams = 1.587 ounces & 22 grams =.776 ounces with some varieties offered in package of 11 grams = .388 oz. Added to cooking and popular in pickling recipes. Excellent in soup and with cabbage dishes. Fragrant and flavourful. Delicious added to soups, especially borscht and nice accent to cabbage dishes. Indian cooking? 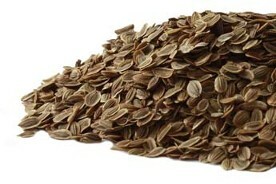 See Dill Seed. Origin: Egypt - Foeniculum vulgare. Excellent cooking spice, imparts a liquorice-like flavour. Nice seasoning for meats. From Frontier Natural Co-op. 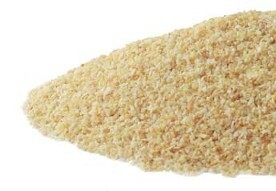 Used in cooking, whole or ground as an excellent spice. Also used for herbal teas. 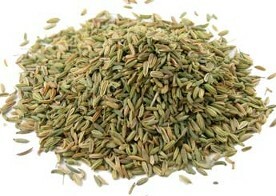 Best quality fennel seed is green. Origin: Egypt. 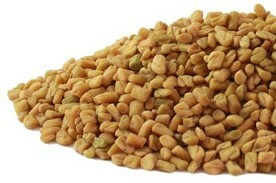 Fenugreek lends its flavour to dishes from Egypt to India and across the Middle East. Avoid if allergic to chickpeas. 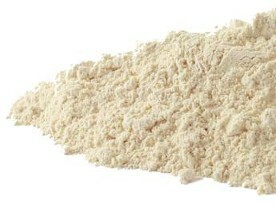 Origin: USA Fragrant & enticing, granules are a handy way to add a kick to soups, sauces & snacks. Origin: China Used as a culinary ingredient for over 5000 years. Handy to have in this form in the cupboard for cooking. Garlic is tasty, odiferous, medicinal. 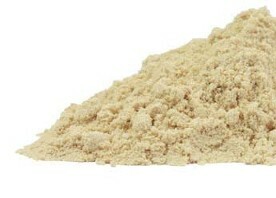 Billions of people use ginger root daily as both a food and a medicine. Used in cooking and as a tea in moderation. One of the most widely used herbs on the planet. 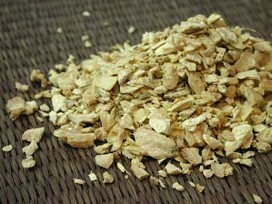 Used in teas, in herbal formulations and of course cooking. Buy fresh and fragrant fair trade teas, herbs and spices with no irradiation and no sulphites for those with sensitivities and health concerns. Discount automatically configured on Shopping Cart. Offer exclusive of Shipping Cost + Sales Taxes. Tea/Soap Favours do not qualify for this discount. Our Sandy Hook Soap Factory website with all natural soap and personal care products offers the same discounts! Order on the same day from both and we will do our best to save you shipping dollars too! OrganicTeasCanada.com and the Sandy Hook Soap Factory automatically direct five cents of every dollar of your purchase to Plan Canada in support of clean water initiatives and the drilling of wells to provide potable water in impoverished communities around the world. Organic Teas Canada is pleased to offer discounted shipping, sale pricing for organic and everyday savings for your family stretching your budget with excellent prices. Our Sandy Hook Soap Factory makes over 30 varieties of truly natural soap including pure Olive Oil Castile Soap, Baby Soap, Natural Shampoo Bars, soap for sensitivities as well as all natural lip balms, luxurious milk baths & soothing bath salts. Wonderful gift sets, wedding and shower favours and distinctive gifts in every price range. We are an ethical and greener alternative to conventional. We import from an excellent zero waste certified organic Supplier in Mountain Rose Herbs which supports a Fair for Life fair trade program offering fair compenstion for farmers worldwide. Organic Teas Canada offers creative mailing programs, free product rewards and combined shipping with our handmade natural soap = free shipping for one order! We strive to leave a smaller carbon footprint with recycled and recyclable envelopes and boxes and packaging.